May, Where did you go? Half of the month I spent thinking it was still April, blame it on the newborn sleep deprivation, haha! In all seriousness, it flew by. We spent the month watching our little babe eat and sleep her way through each day. Although we’re all sleep deprived, she has been the biggest blessing to our family – totally worth it! We also watched our oldest graduate up to first grade. How can kindergarten be over, que mom tears! With June upon us, we’ll do as we always do this time of year… duck out of the AZ heat as much as possible. And of course making memories every second that we can! Gotta love summer vacation! What a month!!! I started the month out really pregnant, with a sweet baby kicking in my tummy and ended the month with the most beautiful GIRL in my arms. 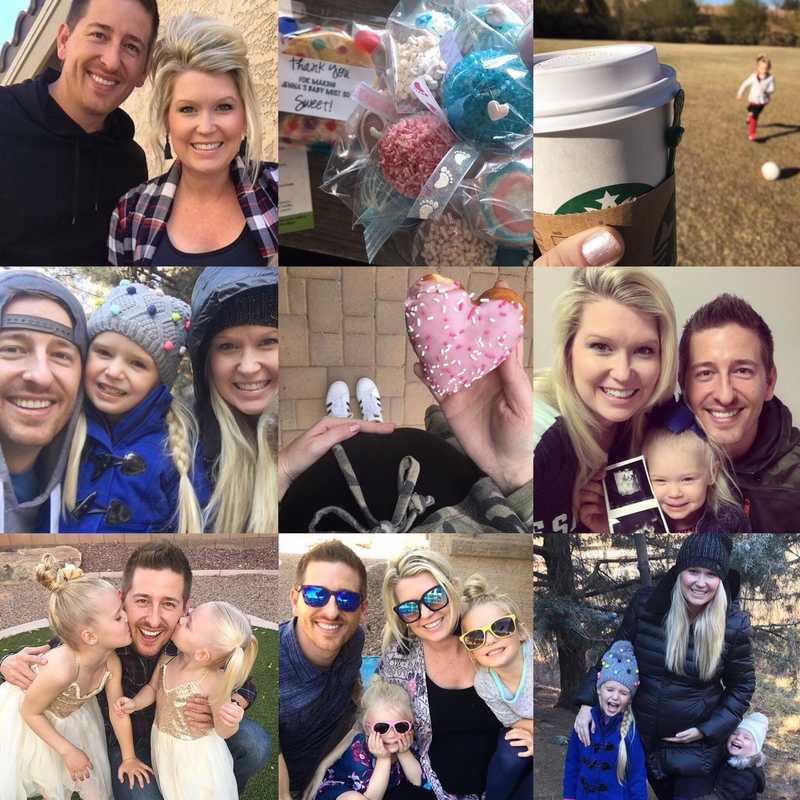 After a month of counting down the last days of our pregnancy it was a time filled with so many happy tears, excitement, anticipation and the thrill of change. April you made us a family of 5, so complete with three little girls. We are simultaneously sleep deprived, happy, and beyond blessed! Haha – doing our best to embrace life in the newborn stage! I also was blessed with celebrating my 33rd birthday as a mom of three and snuggling my sweet little birthday present. April 2018 will always be an extremely special month for us. May, we are so excited for more firsts to come as we settle into our new family routine. February 2018, you did not disappoint in the LOVE department, it definitely was a red and pink-filled 28 days! 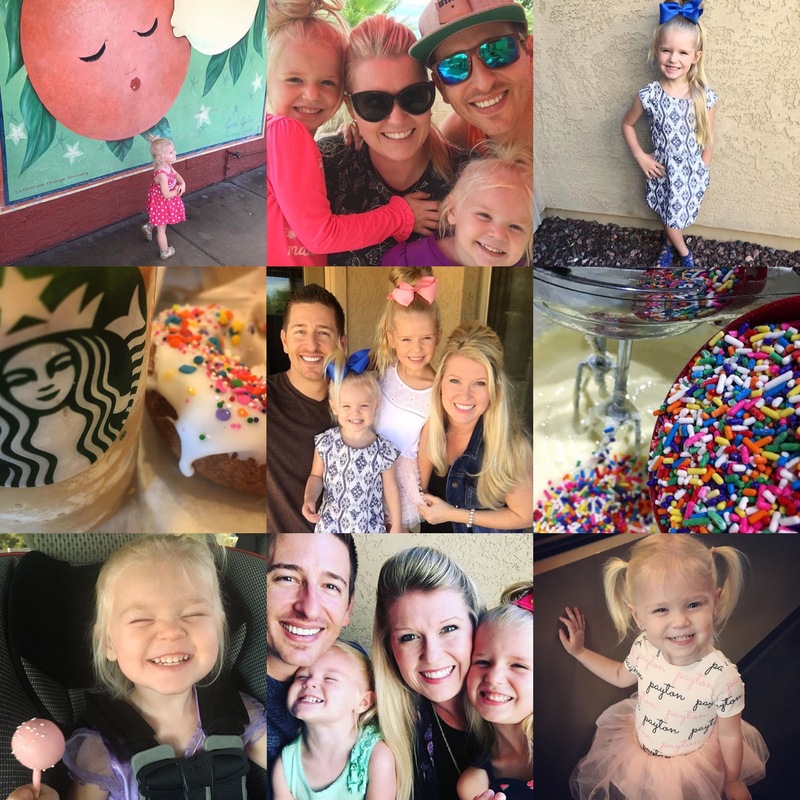 It was a month filled with family time and of course lots of sweets! Let’s just face it, little girls just love everything Valentines! The girls had their first father daughter dance, and it was beyond adorable. The weather got the love memo as well, and has been dreamy and chilly – my favorite! We were able to take a family trip to the mountains for some much needed bundled-up family time. And now as we enter March we have a 3 year old birthday to celebrate and just a few weeks to-go before baby #3 joins the party! So much to look forward to! 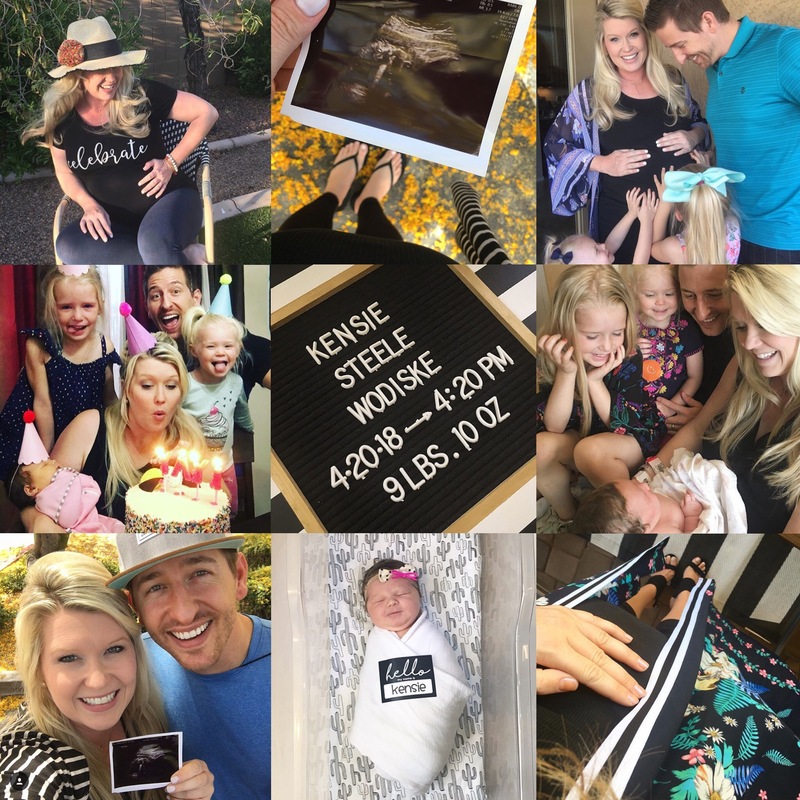 January welcomed me into the third trimester for baby number three… Ahhh, how can this be?! It doesn’t seem possible! The new year is here and the new baby will be with us soon! Travis and I were able to enjoy a relaxing BabyMoon at just the right time. 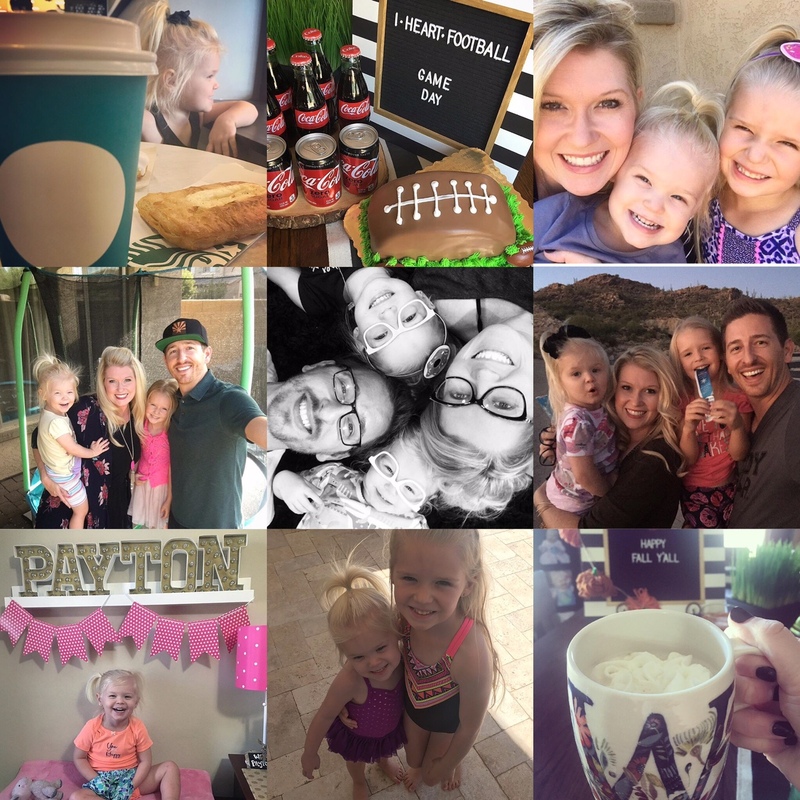 We are so grateful for our time away and the fun we were able to share… Just the two of us! After our relaxing getaway, we made it home just in time to each partake in this season of sickness, oh joy! I am ready for some complete healing and looking onward and upward to a healthy, family-fun-filled February. December is always one of my favorite months. It’s filled with Christmas fun and so many family memories. This month we had a case of the flu, but we pushed through and took it as an excuse to slow down and snuggle… A LOT! Since this was a record breaking, unseasonably warm month for us, we traveled to cooler temps when possible. We celebrated the girls first dance recital and my mama heart just about burst with anxiety & pride! Meanwhile baby bump and I successfully finished our first and last race! Haha, check that off the bucket list! We visited Santa again and thankfully it was another tear-filled visit for Payton… Tears make the best Santa photos! Trav and I were able to sneak off for an unforgettable court-side Suns date night! And of course it was another beautiful celebration of Jesus’ birth and showing the girls the true reason for the season. 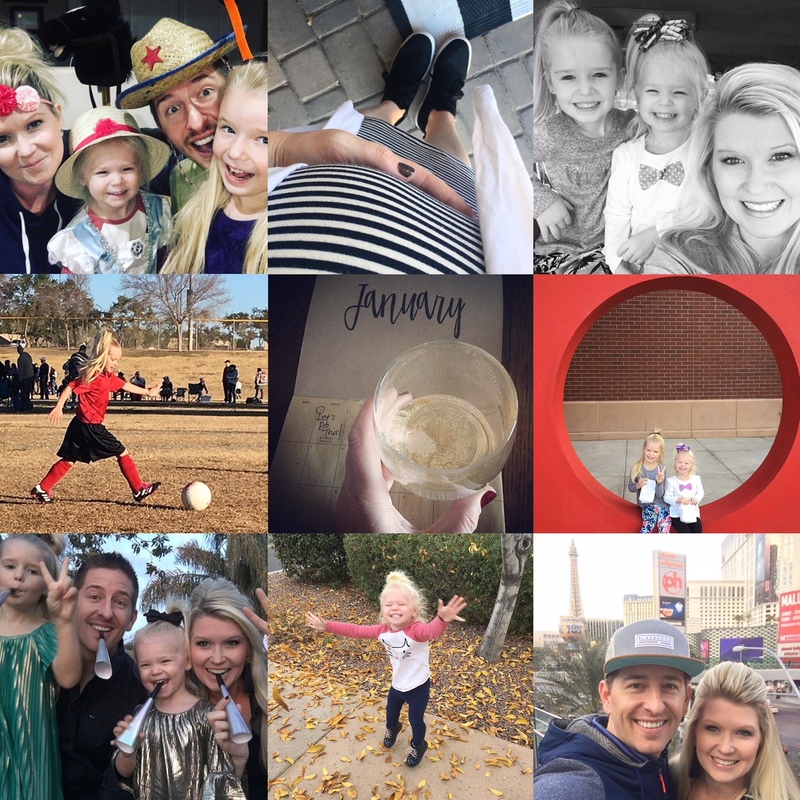 We had so many great memories this month, but I am most thankful for not overdoing it. We did and saw amazing things, but I never felt like we squished too much into our month. We did just enough and rested just enough, and I’m grateful for all of it! Sometimes it’s easy to fall victim to the commercialization of the season and feel like you have to do more, buy more, stress more… But this season, I made sure to fill up our time up with what was most important to us, and it was just right. With a new year knock’n on the door, we’re excited for a new year of adventures and memories and we couldn’t be more excited for what’s to come with 2018! 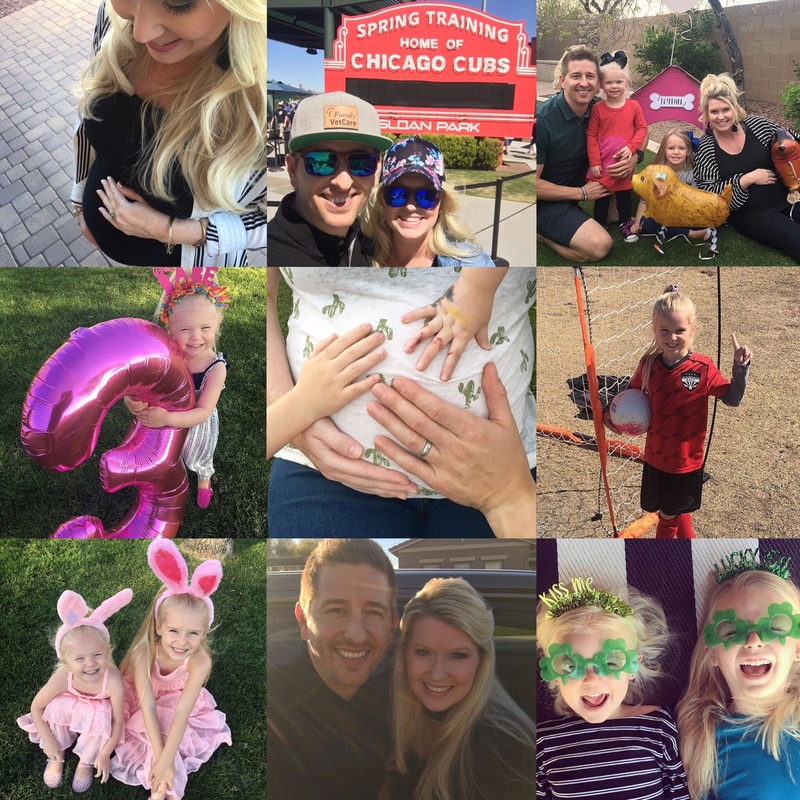 Baby #3 will be joining our family in April and I don’t know what could be better than that – Cheers to a great year ahead! You were a month of special news! We excitedly announced that we are growing from a family of four to a family of five. 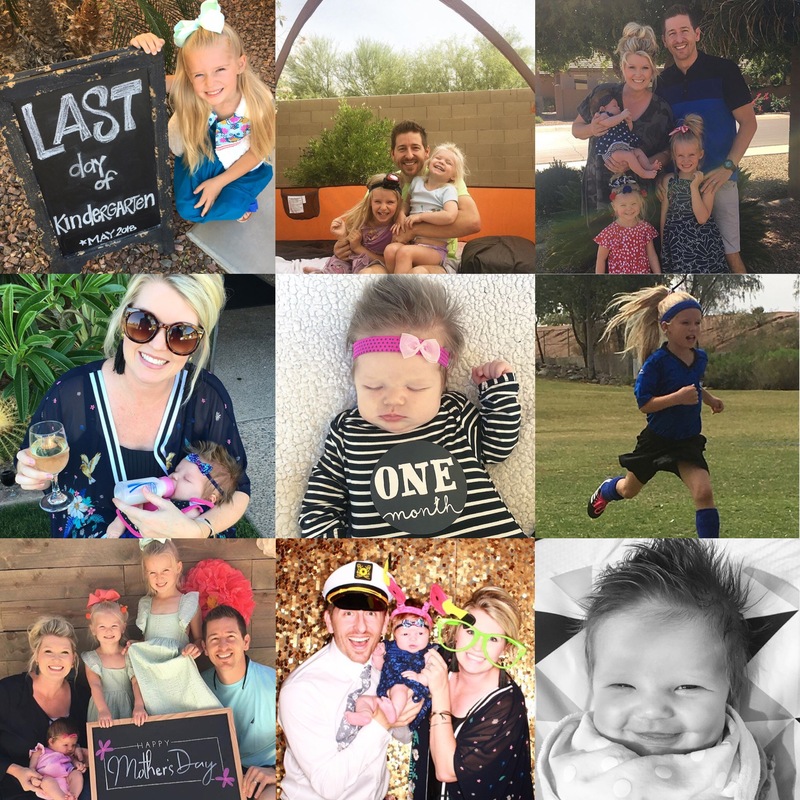 It was a month filled with kindness, love and sweet comments that made our month! October has also been a month of fun holiday functions and preparation for the thankful season ahead in November. 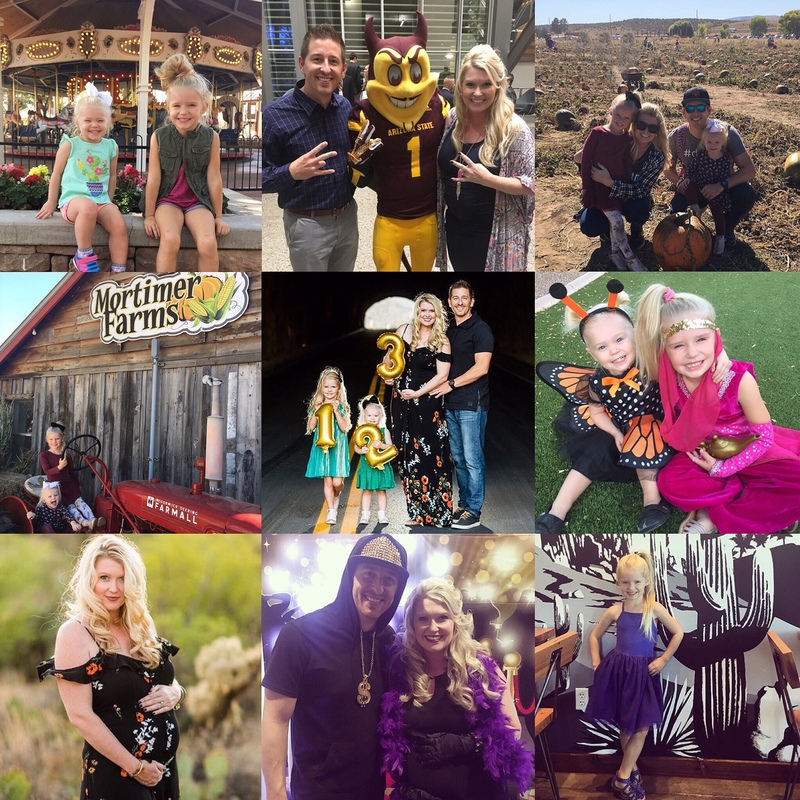 As our AZ weather FINALLY cools down we are so grateful for the family fun ahead and our growing baby bump. WOW what a scorcher! With extremely high temps comes a lot of staying inside or pool time for this family! It was a slower month for us to regroup and focus on one another, sometimes uneventful is a nice time to recharge before the busy season hits. September is going to bring a busy schedule and new exciting adventures. We are excited for what is to come and I am looking forward to football and Pumpkin Spice season!!! How about you?? ?